MMI Textiles has introduced Hyde Definition’s PenCott™ family of patterns into its strong portfolio of military textile products. The PenCott™ inventory will initially consist of the BadLands™, GreenZone™, SandStorm™ and SnowDrift™ patterns on 500D Cordura, Nylon-Cotton Ripstop, and 50D Polyester fabrics - all printed and finished to meet US Milspec nIR standards. Future production will also expand to include Asia for delivery to our customers who manufacture their end products in the Far East. Additional fabric and fabric-based substrates will be added to the portfolio as well – some of which will also leverage new printing technologies. MMI has always had a strong commitment to the US armed forces, and many of their international customers also seek quality products that have been manufactured to US standards. They have over 30 years of experience in the military market producing cotton, nylon, polyester and blended fabrics. 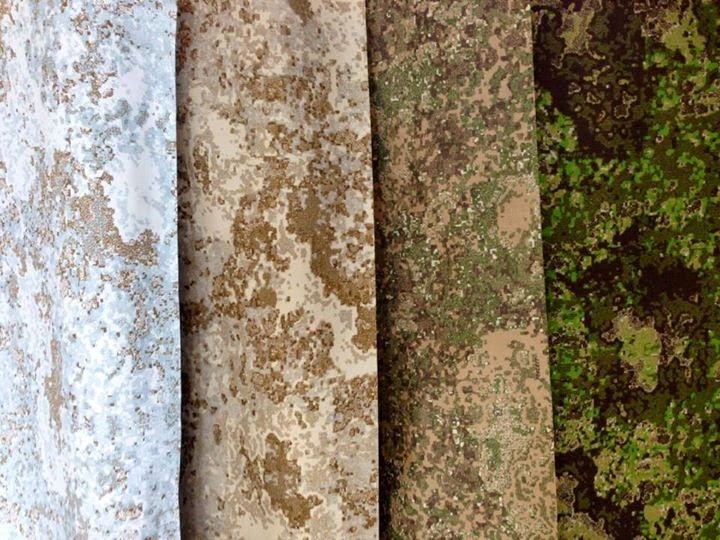 The PenCott™ family of camouflage patterns greatly enhances MMI's existing product offering and MMI is excited to have this opportunity to increase sales and marketing efforts through this newly created partnership. For further information about the PenCott™ patterns, please visit HydeDefinition.com and/or the PenCott™ Facebook page. 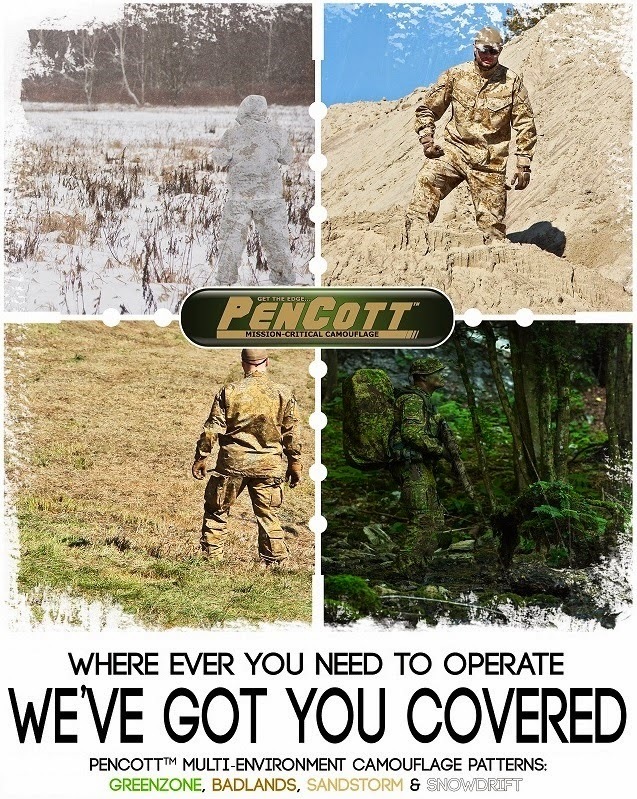 The development of the PenCott™ pattern began in 2005 as a result of Dom Hyde noting that virtually all current-issue military camouflage patterns for clothing were ineffective in many environments and missions in a post 9/11 world. Dom's decades of studying and experimenting with thousands of camouflage designs and the direct result of several years of independent research and development has gone into the creation of PenCott™. The 360° pattern geometry - with the inclusion of large, medium and small fractal shapes - makes the PenCott™ patterns effective at close, mid and long range; and because of its non-linear orientation, the full effectiveness of the pattern is retained whether the wearer is standing, kneeling or prone.